Graduates will have gained a deeper understanding and appreciation for the Bible and its teachings. Graduates will have gained a general understanding of Christianity and ability to apply biblical truth to life and ministry. 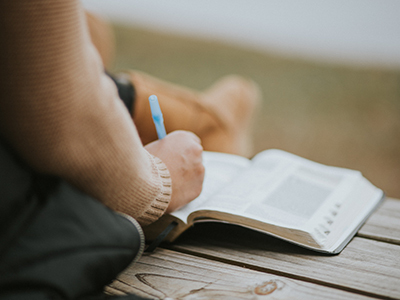 The Seminary Certificate in Christian Studies (SCCS) is a graduate-level certificate program designed for individuals who wish to study in a seminary environment and increase their knowledge and understanding in a variety of theological subjects. The broad scope and flexibility of this program provides just such an opportunity for those interested in exploring theological education. Those who complete the SCCS will be better equipped as Christian lay leaders. The certificate may also provide recognition for those applying for missionary assignments or other ministry positions. Courses may be taken on campus or online. Transfer credits into the SCCS will be considered on a course-by-course basis. Students who enroll in any of CSBS’s other academic programs may apply credits earned in the SCCS to those programs. The prerequisite for this certificate is a B.A. degree, or its equivalent, from an accredited college or university. A total of 18 credit hours are required for the completion of the SCCS.